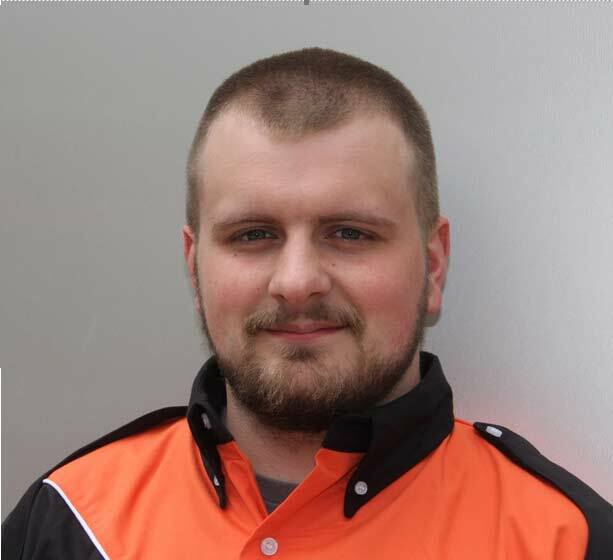 Last season’s Rookie of the Year, Dustin Echols greatly impressed the others in the H1 Unlimited Racing Series with a steady performance in 2017. 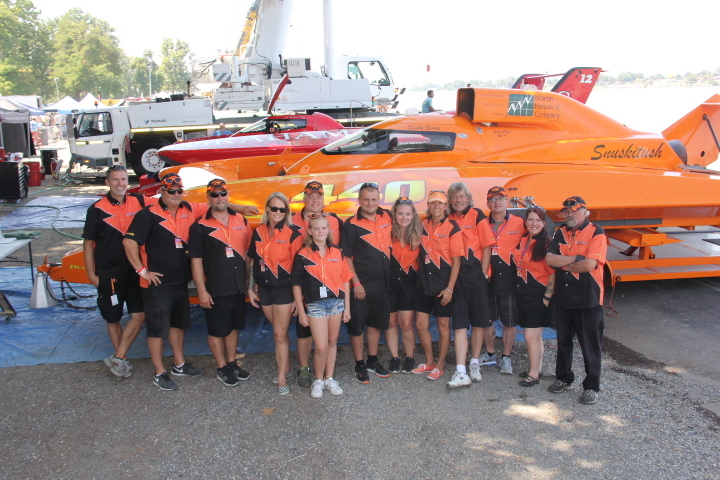 Although his U-440 Bucket List Racing boat was the smallest in the field and had the least powerful engine, Echols and his team appeared at every points race held during the campaign and made it to the final heat twice. They ended the season with a sixth-place finish in the final national standings. At 38 years old, Echols had extensive experience in limited hydroplane racing before his debut in the Unlimiteds. His father got him started in racing outboard hydroplanes when he was only 8 years old then moved his way up the ranks through the outboards, then to inboard and finally Grand Prix class hydroplanes, where he drove for 10 years. During that career, he always admired the Unlimited class as the pinnacle of the sport and made driving in the H1 Unlimiteds his lifelong goal. 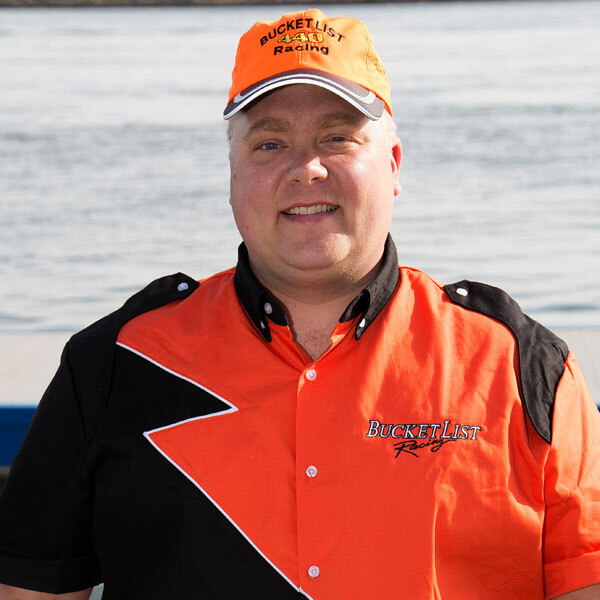 That dream came true in 2016 when he tried to qualify the Bucket List Racing boat at Tri-City, Washington event, and finally made it into the field in 2017 racing season. A diesel and heavy-equipment mechanic, when Echols is not driving a race boat, he is operating his business: Mac Truck Repair. He also enjoys camping and fishing with his wife, Rena, and his daughter, Findley. And following in the family tradition, he is also busy getting his daughter started in her own racing career this year. Kelly and Sharon Stocklin teamed together to promote a more economical alternative to current forms of unlimited racing that is more suited to entry level and start-up teams. Together with Snuskitush Enterprises, they are helping promote the idea that new owners in unlimited racing can be successful competitors. In 2012, the Stocklins acquired one of the boats built for the G Class automotive series and is approved by H1 to run the boat as an unlimited using a Lycoming T-53 turbine power plant. Kelly Stocklin is a local legend when it comes to boat racing. Stocklin’s racing resume dates back to 1974 and includes decades of competition in the major flat bottom classes, super stock, pro stock and pro comp. He was a long-time record holder in the pro stock category, part of the team that has set multiple runabout records in all classes. Kelly has been instrumental in the evolution and implementation of driver safety capsules in these classes. In 1980, Kelly joined Squire Shop’s U2 unlimited team as crew member for four years. Shortly thereafter, he joined Ron Brown as an outside vendor on Budweiser’s first turbine attempt (T-1) while working in the nuclear energy field. In 1997, Dave Villwock took over the Budweiser team and asked Kelly to join in starting a long-term, in-house propeller manufacturing project which ultimately produced the world’s fastest and most durable propellers. Today, Kelly and Dave continue to make the world’s fastest propellers. In the early 1990’s, Stocklin’s first experience in the cockpit of a hydroplane came in the 7 liter class. He was an early participant in the Unlimited Light Class and long-time driver of Thunder Valley Racing’s supercharged UL. 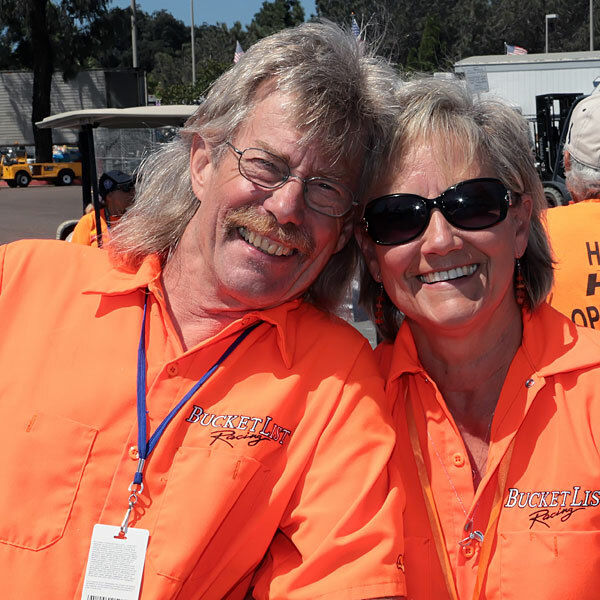 At age 61, when most have retired, Kelly Stocklin started his driving career in the unlimited class and was named the 2012 H1 Unlimited Rookie of the Year. Having accomplished that bucket list item, he is now assuming the role of radio man at races, and manufacturing the team’s gear boxes and drive shafts. He continues to supply propellers for Bucket List Racing and other H1 race teams. Taylor Evans of Beaver Lake, Washington, is crew chief of the U440 Bucket List Racing program for the 2017 H1 Unlimited season. Taylor joined the Bucket List Racing team at its inception in 2012. His abilities, knowledge and responsibilities have increased each year. The U440 was not available to Bucket List Racing for the 2013 race season, so Taylor joined the U37 team in midseason that year, and continued over winter and through the 2014 season, gaining valuable experience in the areas of hull repair and setup. Taylor rejoined the U440 program during the winter of 2014 and crewed during the 2015 season. He began working for the team on a full-time basis in fall 2015, becoming Crew Chief, and is responsible for modifications to the boat, maintenance, and team management. Snuskitush Enterprises is an investment group dedicated to benevolent endeavors with the goal of making lifetime dreams and wishes come true. Martin Nelson & Company is dedicated to helping our customers achieve their financial goals. Headquartered in Seattle, Washington, we have the advantage of understanding the dynamic business environment of the Pacific Northwest as well as the new technologies that affect our region. At Martin Nelson & Company, our knowledge and expertise will provide you with the best possible service. Mac Towing’s mission is to help our customers cope with the needs of everyday life and to smoothly manage life’s little surprises. Serving the customer is our first intention. Whenever a customer calls, an educated, friendly MAC driver in a clean and maintained tow truck or flatbed car carrier is dispatched within a few minutes. The driver is trained to carefully assess any situation before acting, and behave in a professional and understanding manner. Contact us now!